2008 Lionel #14 Box Car. (QXM11095) - $15.00 : Olson Hobbies, Welcome To The Train Page! 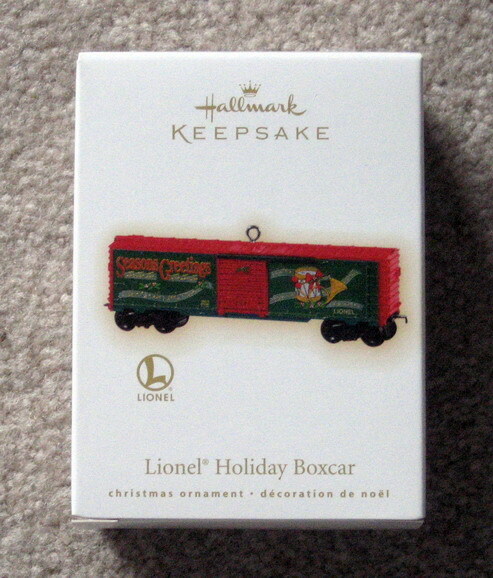 Mint Condition 2009 Lionel Holiday Boxcar. Holiday Box Car stock number QXI1095. Handcrafted, wheels turn manually, crafted Die Cast Metal. This was the 14th in a series of Lionel Ornaments that were made.